Andrea qualified in Turin University in 1994, where he owned his own small animal practice in Italy for several years. Andrea moved to the UK in 2004 for an internship in a private referral (VRCC) in Essex followed by a residency in internal medicine at the same institution. During his residency Andrea gained the RCVS Certificate in small animal medicine. After completing his residency Andrea worked for referral practices in Kent and Glasgow and for IDEXX laboratories. Andrea gained the European Diploma in internal medicine in 2014. 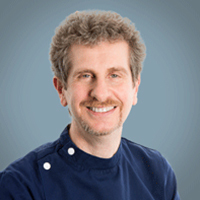 Andrea's main areas of interest are haematology and hepatology, although he enjoys all aspects in medicine.